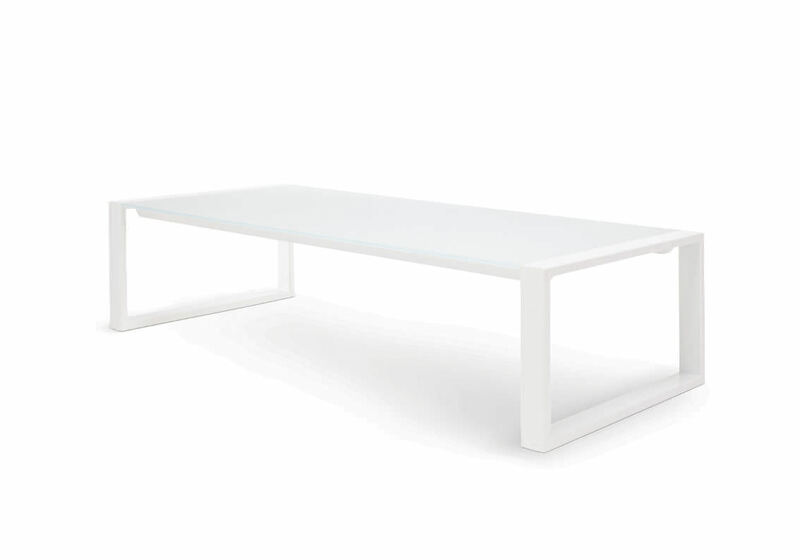 The Lounge collection, designed by Hendrik Steenbakkers, contains two models of tables. 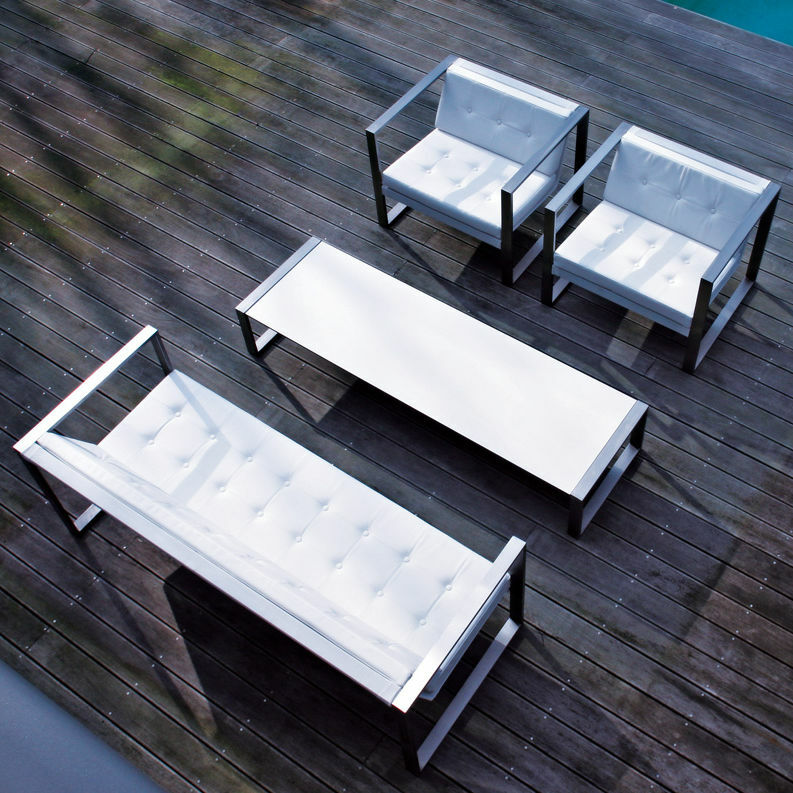 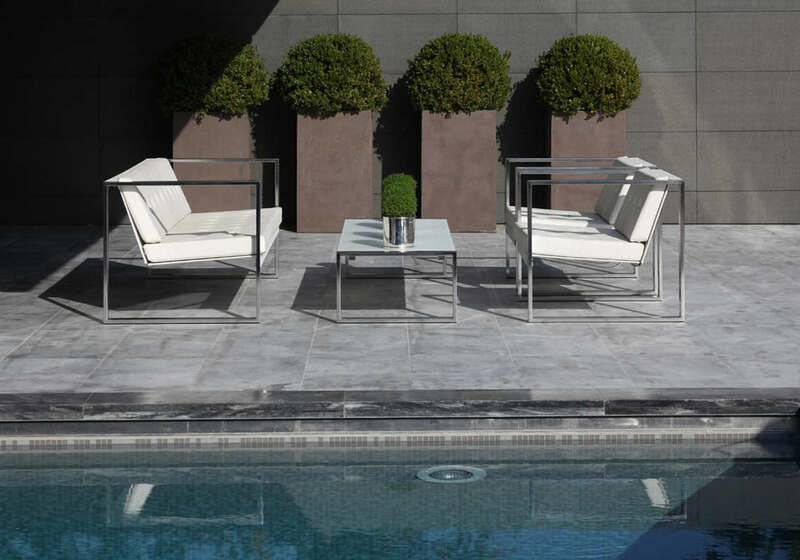 Both the Tabla Lounge and the Mesita Lounge are available in several sizes, so in total one can choose between five different sized tables to complement the contemporary patio lounge set. 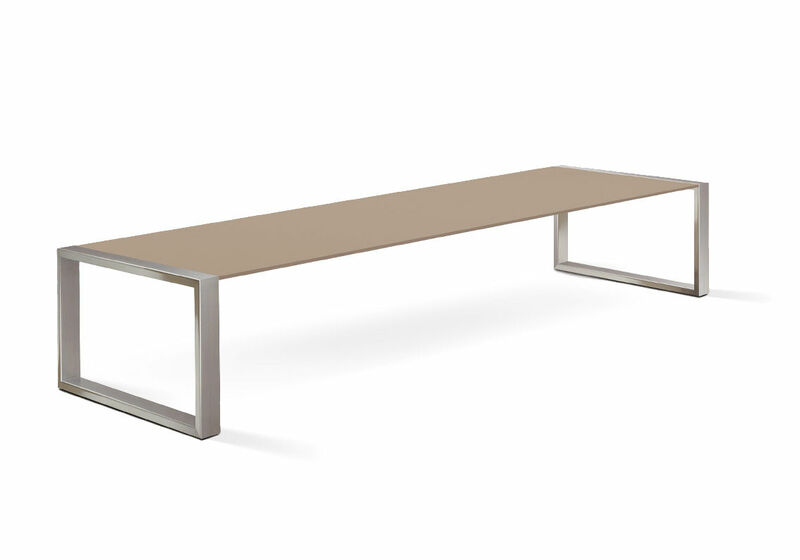 All models of salon, coffee and side tables catch the eye by the minimalist rectangular shape of the stainless steel base which holds the table top in suspension, seemingly floating on air. 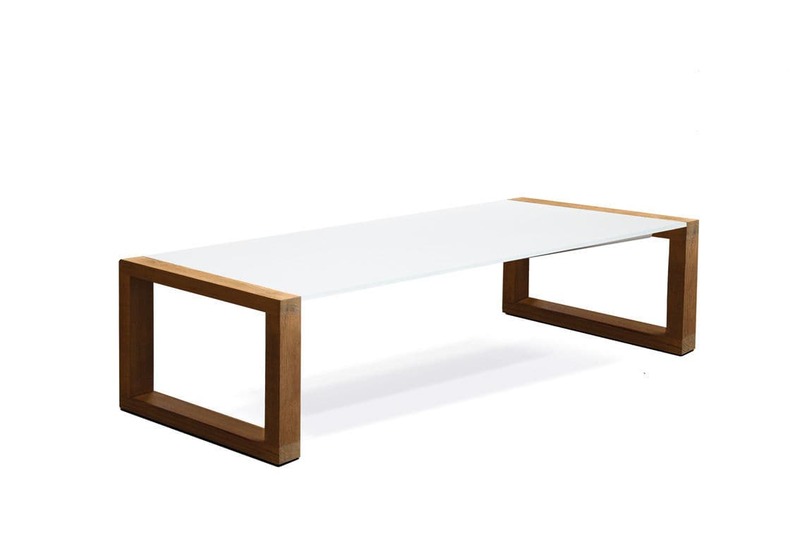 Despite the robust frame, these modern designer low tables has a very spatial appearance.